This Bat ring has been one of my favorites for many years. Light, simple and elegant, the thin shank is formed into the classic shape of a bat. from tip to tip wraps across the finger. or shine “solo” on your hand. this ring embraces them all. 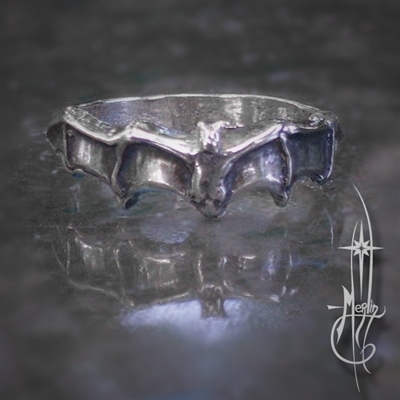 please visit my Bat Ring Page.